The topic of food and planning is one of great interest—particularly promoting healthy food options. Of course what people eat is a complicated result of their personal preferences, financial resources, and social context. Food availability depends on climate, the time of year, whether people grow their own food, how much it costs, home food storage options, and the kinds of stores in the local area. However, a number of tools can help larger communities plan for their food access. One such tool is the Food Security Assessment. 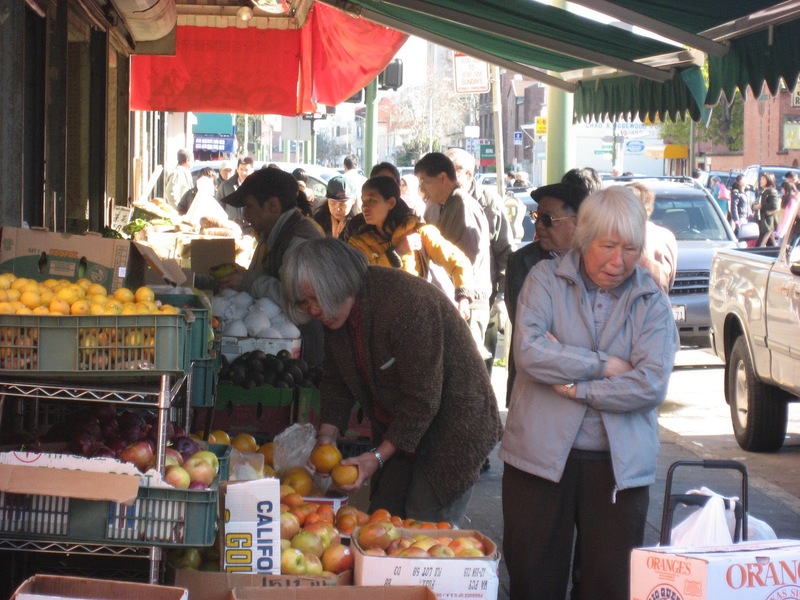 In 2002, the USDA Economic Research Service published a well-known Community Food Security Toolkit: http://www.ers.usda.gov/Publications/EFAN02013/ with the entire toolkit at http://www.ers.usda.gov/publications/efan02013/efan02013.pdf. There are other toolkits around, with many good tools developed for use internationally in areas likely to suffer substantial food shortages, but this one by aU.S. government agency may be a good place for others to start. The USDA web site provides helpful information about food security in the U.S.: http://www.ers.usda.gov/Briefing/FoodSecurity/. A 2007 USDA Food Security Assessment provides an example at the international level: http://www.ers.usda.gov/Publications/GFA19/. However, using the methods in the toolkit, local communities can do this as well. The food security assessment and other food related tools are discussed in the DFH Food Issues Sheet at http://designforhealth.net/wp-content/uploads/2012/12/Information_Sheet/BCBS_ISFood_090107.pdf based on research outlined in the Food Key Questions research summary http://designforhealth.net/wp-content/uploads/2012/12/Key_Questions/BCBS_KQFood_082207.pdf. Active Living Research, funded by the Robert Wood Johnson Foundation, has sponsored quite a few special issues with free downloadable articles. Many of them are are listed at: http://www.activelivingresearch.org/resourcesearch/journalspecialissues. Healthy Eating Research, another RWJF-funded group, also has free special issues: http://www.healthyeatingresearch.org/publications-mainmenu-111/special-journal-issues-mainmenu-118. In addition they have sponsored a number of proceedings and presentations: http://www.healthyeatingresearch.org/publications-mainmenu-111/proceedings-and-presentations-mainmenu-145. Pub Med.gov is produced my ythe U.S. National Library of Medicine at the National Institutes of Health: http://www.ncbi.nlm.nih.gov/pubmed. With over 20 million citations, some linke to free downloads. I find their advanced search engine to be most helpful: http://www.ncbi.nlm.nih.gov/pubmed/advanced. The U.S. Transportation Research Board’s Transportation Research Information Service (TRIS) is a terrific database of transportation resources, some related to health and some of these available for free: http://tris.trb.org/. The U. S. HUD USER research portal is similar, with a bias toward housing: http://www.huduser.org/portal/bibliodb/pdrbibdb.html. There are a number of free online journals. Many are newer. A terrific resource for free journals is Highwire, a division of the Stanford University Libraries that aims to make research more accessible: http://highwire.stanford.edu/lists/freeart.dtl. For example back issues of Environment and Urbanization are free after 3 years: http://eau.sagepub.com/ and the American Journal of Public Health after 2 years: http://ajph.aphapublications.org/. Examples of journals with where authors pay fees, include the International Journal of Environmental Research and Public Health (http://www.mdpi.com/journal/ijerph) and the International Journal of Health Geographics (http://www.ij-healthgeographics.com/). I have reviewed for the latter (for free) but have mixed feelings about this approach of charging to publish, although it is common in the sciences. In planning the online journals with free submission and publication are in related areas such as transport and include the Journal of Transport and Land Use (https://www.jtlu.org/index.php/jtlu). Other groups provide research summaries. Design for Health’s own research summaries provide accessible summaries of research on various health topics, as of 2007 and 2008: http://www.designforhealth.net/resources/researchsummaries.html. There are others that I will highlight in upcoming blogs.